So when I'm not blogging there are so many other things occupying my time from photographing pretty things to creating new cards. Lately, I have been printing graphics to turn into holders to organize my lace yardage and twine. 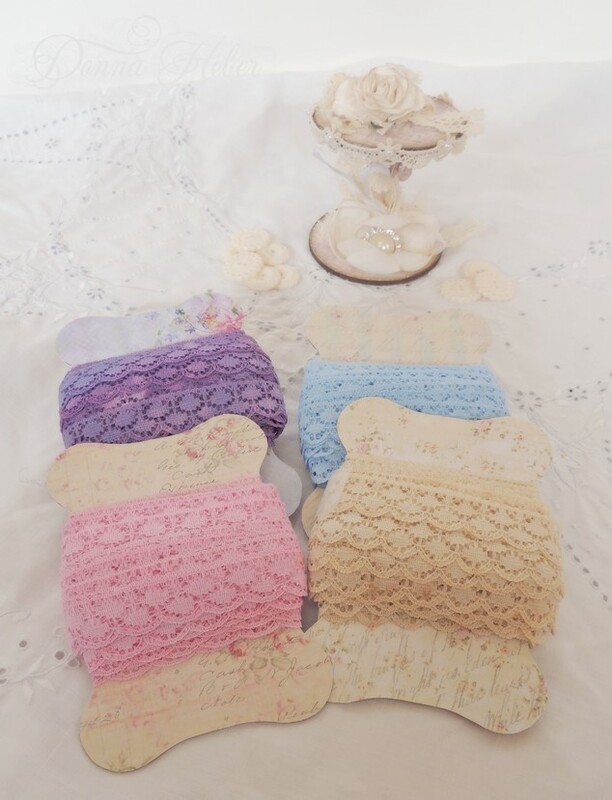 These holders have about 10 yards of vintage distressed lace on them. I've been a busy little bee organizing. It is so much easier working with lace when you can unwrap the size piece you need without digging through a huge pile. I also had no idea how much I had accumulated until I started gathering it all. I think they look too pretty to hide away in a drawer. Don't you think? I've decided to keep them in this bucket painted with roses. I love having my trims nice and organized so I can use them in my projects. Have you been doing any organizing lately? 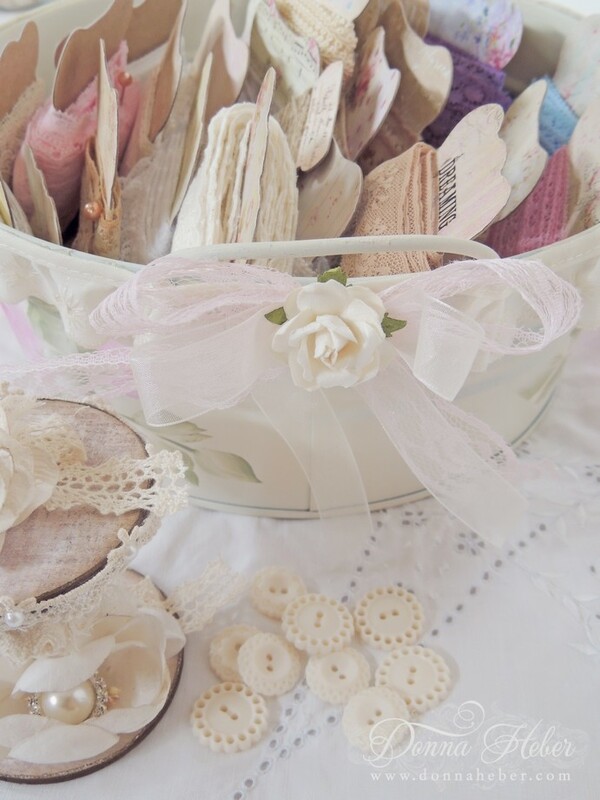 That's a good idea, I have a box full of bit of lace and ribbons but they are always a mess and tangled. Oh, it looks so pretty! I did a similar project a few years ago - respecting the lace! FABULOUS idea and just BEAUTIFUL!!! So many beautiful laces ... I think I'd have a hard time using them. I would just enjoy looking at them in this pretty bowl! Great idea ... beautifully done! Thanks for sharing! 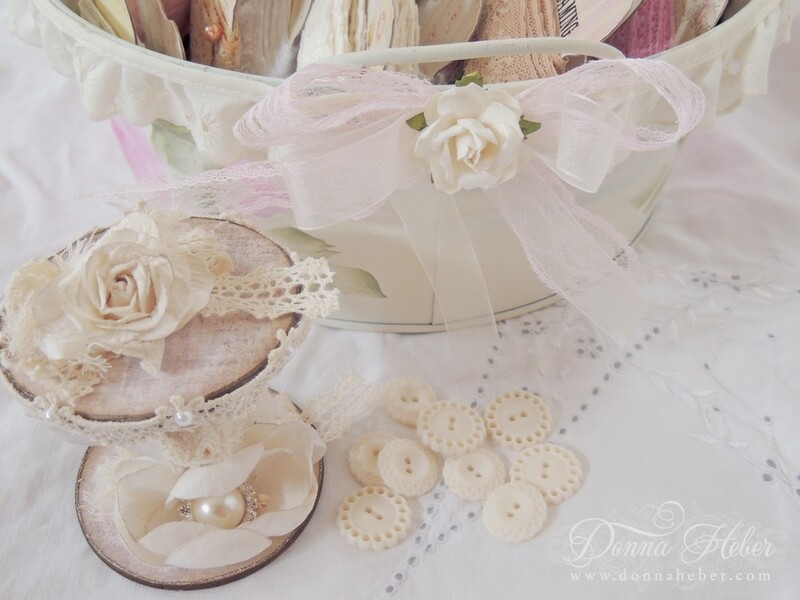 this looks gorgeous and so elegant Donna., fantastic lace designs. That is a very good idea! Each strip of lace shows off it's charm! I love your lace collection such beautiful colors. What a great way to store them. SUch beautiful lace trim! It does deserve a special container. Oh to have such a beautiful collection! Thanks so much for stopping by my blog! 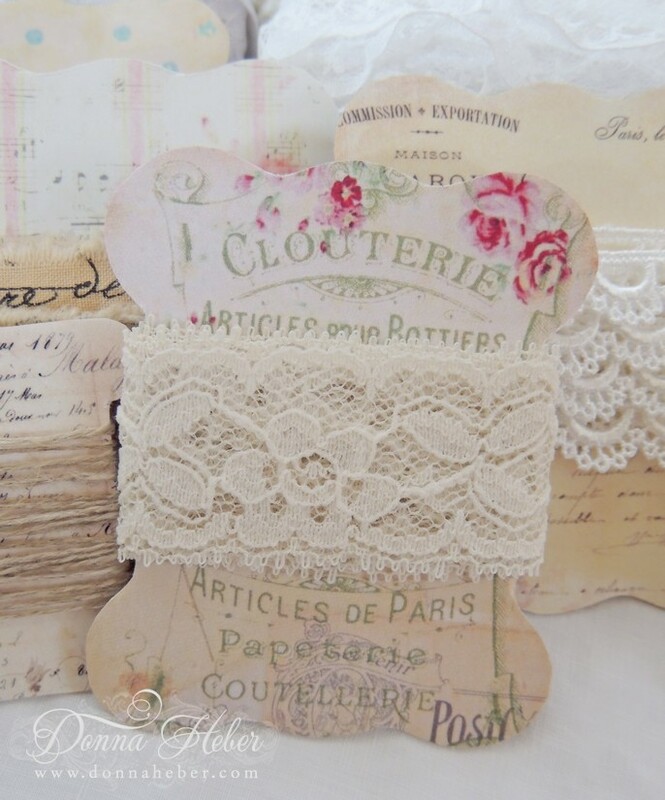 I love the lace holders, I have some to print from Gail at Shabby Cottage. Everything looks so pretty I love the buttons too!! Have a great Wed.
Love the pretty lace. I keep mine in a tiered fruit holder. Perfect for the corner of my table. Love the pink! 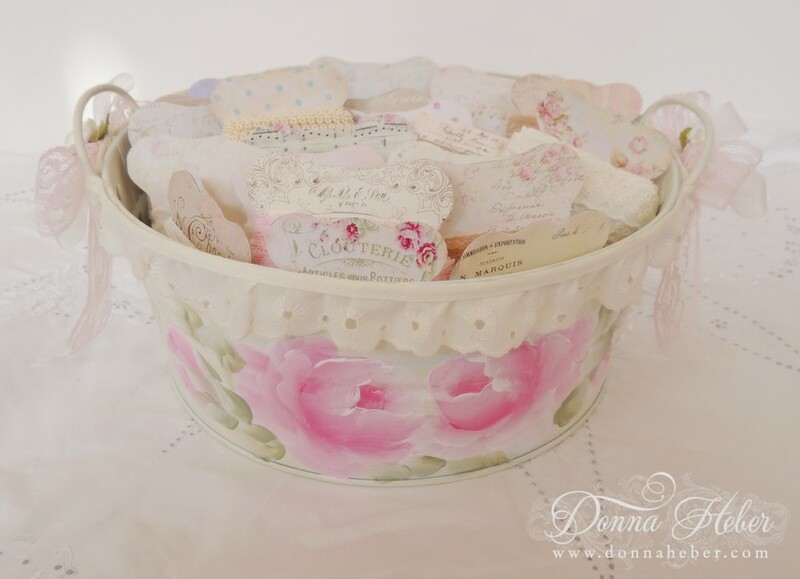 What a pretty way to store your lace .Nicely organised . these are so pretty! 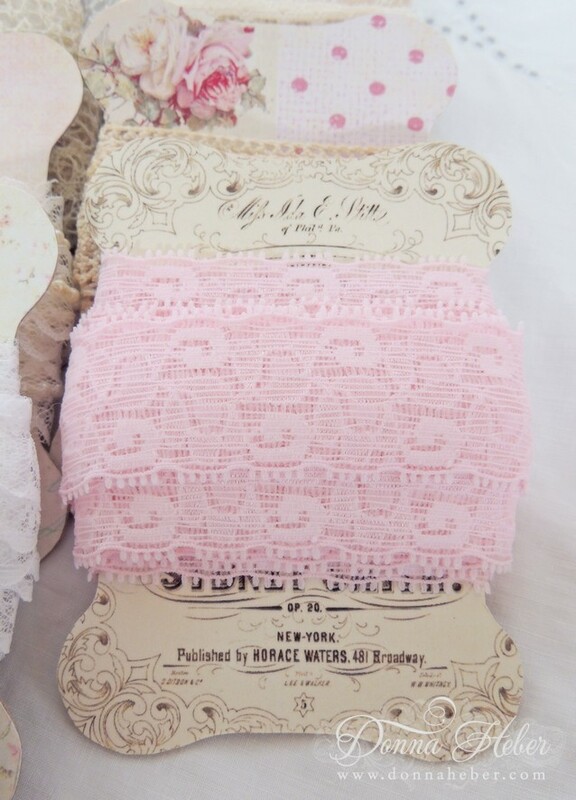 what a lovely way to organize your lace, and I agree, they need to be displayed! I think it's easier to be creative when our work rooms are beautifully organized and things are easy to find, too. Love this idea. May have to steal it from you! This is so pretty and elegant! Love the lace!! Hi Donna! Thank you for stopping by my blog and leaving a comment. 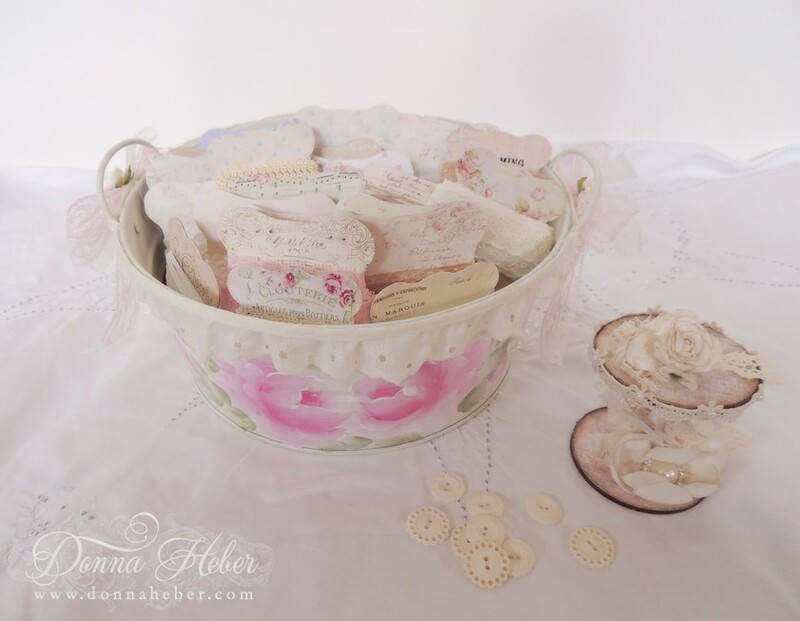 It has afforded me the opportunity to quickly get to your blog to see your gorgeous lace organization. Absolutely beautiful!! Hugs, Gayle. Oh. Wow! I wish I had that much lace! I love how you store them! Very pretty and practical. 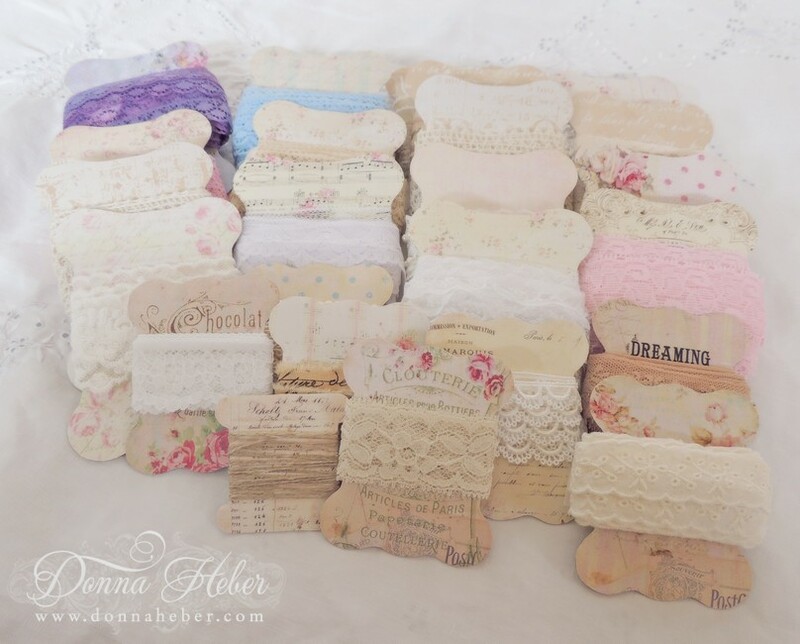 Wish I had that much lace in my ribbon stash! Beautiful! And I love the photos of them too! Gorgeous! What a beautiful way to display the lace you've acquired.